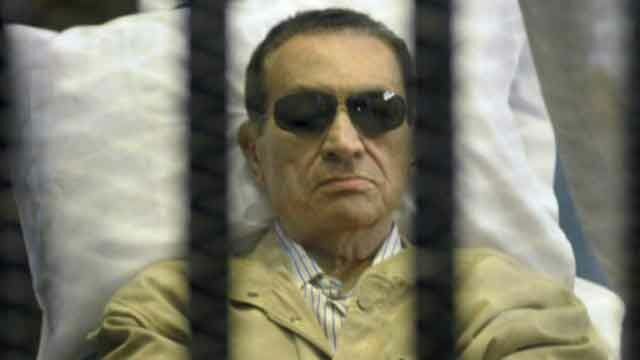 I never thought I’d welcome the day when an Egyptian dictator was freed from jail, but at the moment Mubarak seems the least-bad of all options. So they [Brotherhood and affiliates] took advantage of the economic situation by handing out money — to one man, 100 Egyptian pounds, or about $30 dollars, [saying,] “Here take this bag of glycerin and throw it here,” or do this or that — to create a state of instability in Egypt. And these groups — do not ever believe that they want democracy or anything like that. They are exploiting democracy to eliminate democracy. And if they ever do govern, it will be an ugly dictatorship. …. Once a foreigner told me, “Well, if that’s the case, why don’t you let them form parties?” I told him, “They’d attack each other.” He said, “So let them attack each other.” I came to understand that by “attack each other” he thought I meant through dialogue. For years, we have been trying to dialogue with them, and we still are. If the dialogue is limited to words, fine. But when the dialogue goes from words to bullets and bombs… [Mubarak shakes his head, […] The point is, we do not like bloodshed, neither our soldiers’ nor our officers’. But when I see that you are firing at me, trying to kill me—well, I have to defend myself. Then the international news agencies go to these [Islamist] groups for information, and they tell them, “They are killing us, they are killing us!” Well, don’t you [news agencies] see them killing the police?! I swear to you, not one of the police wants to kill them—not one of us. Then they say, “So, Mr. President, you gave orders to the police to open fire indiscriminately?”—I cannot give such an order, at all. It contradicts the law. I could at one point be judged [for it]. Consider Mubarak’s exchange with “a foreigner,” who interpreted Mubarak’s “they’d attack each other” in apparently Western political terms of “dialogue.” The habit of projecting Western approaches onto Islamists—who ironically represent the antithesis of the West—is one of the chief problems causing the West to be blind to reality, one which insists that violence must always be presented as a product of political oppression, and Islamists as the misunderstood victims. Note how the blind approach of the Western media is almost identical to their misreading and misrepresentation of the Israel-Palestinian conflict. In the Sinai Peninsula, where attacks on security forces have multiplied since president Mohamed Morsi’s removal, suspected Islamist terrorists killed at least 24 policemen on Monday. Three policemen were also wounded in the grenade and machine-gun attack near the north Sinai town of Rafah on the border with Israel, medical and security sources said. A sniper also shot dead a policeman in the Sinai city of El-Arish, the state news agency said, quoting a security source. Mounting insecurity in Sinai worries Egypt and also the United States because the desert peninsula lies next to Israel and the Palestinians’ Hamas-ruled Gaza Strip, as well as the Suez Canal, one of the world’s most important shipping arteries. Asked if he thinks the Egyptian military has the capability to calm the Sinai, Kedar responded that it could if it allocated enough resources and firepower. The key factor is motivation, he said. Furthermore, Kedar asserted that the issue “cannot be solved with tanks,” and that “they need to use commando units because they fight in caves and mountains,” where land vehicles cannot go. The Sinai is almost three times the size of Israel and largely lawless. Where there are no roads, there is no law, stated Kedar. In an article on his blog titled “The Curse of Sinai,” Kedar wrote that the Sinai was never “an integral part of Egypt” but was annexed only in the 20th century when Britain ruled the country. Kedar attributes this to the wish of creating some distance between the Ottoman Empire and the Suez Canal. After Israel withdrew from the territory in 1982 and the Oslo Accords in 1993, the Beduin became the intermediary between Gaza and Egypt, Kedar said. He noted that Hamas has “tried to turn the Sinai into a secondary base from which to attack Israel, and because it was sovereign Egyptian territory,” it serves to restrain Israel from responding. The rise of the Muslim Brotherhood to the presidency in Egypt at the end of June 2012 was the best news for the jihad fighters of Sinai, since they knew very well that this government would not act against them with determination because of the close ideological relations between the Brotherhood and the jihadists: both sides believe in the supremacy of Islam over all the other religions, both believe in the religious obligation of jihad, both see Israel as an illegitimate entity and both are in favor of implementing Shari’a on all circles of life in the lands of Islam. And indeed, Mursi reined in the military’s reactions against the jihadists in Sinai, and after they killed 16 soldiers in August 2012, Mursi even dismissed the military heads. The army waited for the right moment to get rid of Mursi and the jihadists that had jointly taken over in Sinai, and the opportunity came during the mass demonstrations that broke out in Egypt on the 30th of June, this year, 2013. These days the army is busy clearing Mursi’s supporters out of the town squares of Cairo and Alexandria where they demonstrated during a month and a half, with many wounded. The jihadists of Sinai support the Muslim Brotherhood and their demand to return Mursi to the presidency. The army is convinced that there is a connection between the Brotherhood leadership and the organizations in Sinai, and the Brotherhood expects that the jihad organizations in Sinai will attack the army to ease the pressure on the demonstrators in the public squares. Therefore, there is a fair chance that these organizations will take revenge on the army for breaking up the demonstrations and for those who were killed among the Brotherhood. We have seen that revenge just this week in the bus attack on the Egyptian policemen. There are rumors that Israel is also involved in the events in Sinai, in intelligence and also operationally, and the activities that Israel has done and perhaps also will do, are coordinated with the Egyptian army. We saw apparent evidence of that too in the past week when an Israeli drone killed 4 Jihadi terrorists about to launch a rocket attack on Israel. The lessons from all these stories are that Western governments and media need to face the reality that (to paraphrase the old saw about paranoia) just because an organization is victimized doesn’t mean they don’t deserve that victimization. The Muslim Brotherhood are not the good guys in this scenario. This entry was posted in Israel news and tagged Christians, Copts, Egypt, Hosni Mubarak, Jihadists, Mohammed Morsi, Muslim Brotherhood, Sinai, terrorists. Bookmark the permalink.